This panel, originally part of a larger, winged altarpiece, presents three separate episodes from the life of Mary Magdalene. After the Crucifixion of Christ, the Magdalene went to the South of France. In the foreground, she preaches to the pagan population of Marseilles. In the upper left, a ship arrives at an island where a baby plays and his mother lies in a cave, a scene that refers to a miracle in which the Magdalene saved a shipwrecked mother and child. 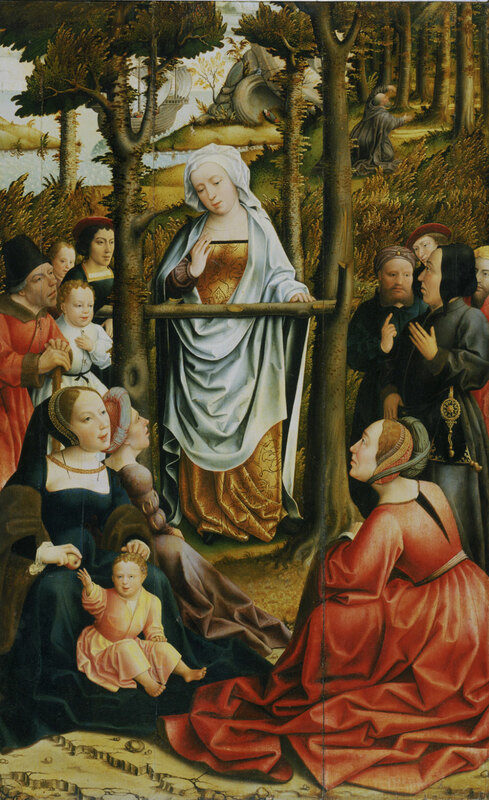 In the upper right of the painting, a monk is startled by a vision of the Magdalene being borne to heaven. The vision is missing because the panel has been cut, leaving only a few rays of light.